City Council approves $48K contract with Portland-based consultants at Mackenzie Engineering Inc. The city of St. Helens has taken another step forward in its efforts to possibly rebuild or relocate its police station. The St. Helens City Council approved a $48,000 contract with Mackenzie Engineering Inc., an engineering and architecture consulting firm based in Portland, to complete a feasibility study, initial designs and cost estimates for building a new police station in St. Helens. 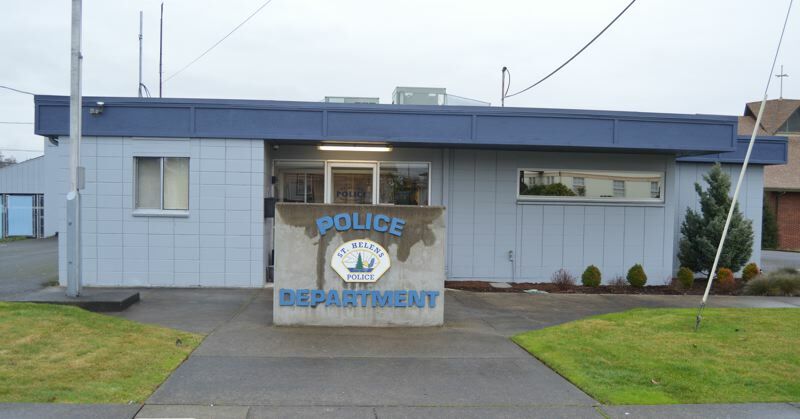 The City Council began discussions about a rebuild of the St. Helens police station last year, and in January issued a request for proposals from consultants to determine exactly what it would take to upgrade the police facilities to accommodate a growing city and police force. After the city put out its request, consultants were asked to submit bids explaining how they would analyze the current police station, evaluate future growth, and assess four different sites in the city where an expanded station could be located. The contract with Mackenzie Engineering was approved by a 4-to-0 vote of the City Council, with one councilor absent, on March 20. Currently, SHPD officers and staff are in a 2,200-square-foot building, where officers and staff have limited storage space for investigative materials, a single interview room, a single-stall shower and locker room, one conference area and administrative offices. Police Chief Brian Greenway previously described the building as being "not conducive for professional operations." In December, Greenway and other city staff visited the Sandy Police Department, which is similar in size to St. Helens and where a new police station was built in 2011, to get an idea of what works and what doesn't when designing and planning for new buildings. The city recently gained a portable classroom from the St. Helens School District that is no longer needed after the district built its new alternative high school campus, which will be located adjacent to the St. Helens police station on 13th Street. While the portable will provide some additional room for officers, it's not a permanent solution. Working with the consulting firm is the first step toward determining how the city should address the police department's growing needs. Mackenzie Engineering is expected to work on the project until June 2020, according to the contract.